If you need to have your wisdom teeth taken out or you want to replace missing teeth with implants, your dentist will refer you to an oral surgeon. The benefit to seeing a board-certified oral and maxillofacial surgeon for these types of procedures stems from the extensive training we receive after dental school. In addition to a dental degree, oral surgeons must complete four years of residency training to learn surgical techniques and how to safely administer anesthesia to patients. Our experience and training enable us to help with complicated issues like reconstructing a broken jaw or removing oral tumors and cysts. As part of the Konikoff Dentistry practice, the oral surgeons here work in conjunction with your dentist and accept the same insurance plans. Once you come see one of us, you become our patient, too. 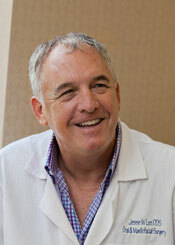 Oral surgeons specialize in extractions, implants and much more. So, if you need to have your wisdom teeth removed, it’s best to have all four taken out at once. It’s ideal to have them removed when you’re in your late teens or early 20s because you can heal quickly. While it’s OK to not have your third molars, other missing teeth should be replaced. Implants have become the standard of care for replacing missing teeth. Some dentists have been trained to place implants, however, you’ll need to see an oral surgeon if you need bone grafting. Oral surgeons are considered the experts when it comes to implants. In addition to extractions and placing dental implants, oral surgeons also treat people who have TMJ disorders and facial injuries or need temporary anchorage devices. We also offer patients facial aesthetic procedures to reduce frown lines and creases. Konikoff Dentistry only permits a board-certified and licensed oral and maxillofacial surgeon to perform these types of treatments. Oral surgeons use different types of anesthesia to keep patients comfortable. It’s not too unusual to have some anxiety about oral surgery. At Konikoff Dentistry, we use different types of anesthesia to help people feel more comfortable during their procedures. Sedation techniques depend on the individual needs of each patient. Sometimes patients will take oral medication and nitrous oxide to help them relax. Others may need IV sedation or general anesthesia. The goal is to help you get through the procedure with as much comfort as possible. We always call our patients after surgery to check on them. Dr. Jesse W. Lee, DDS, has more than 30 years of experience practicing oral surgery and dentistry privately and in the U.S. Navy. He is certified by the American Board of Oral and Maxillofacial Surgery and the American Dental Board of Anesthesiology. Konikoff offers oral surgery appointments in Chesapeake at the Volvo Parkway office and in Virginia Beach at the Shore Drive office.